In the medical communities, medical scrubs are worn more than any other clothing as it is their uniform for their workplace. As nursing uniforms’ styles and fabrics have evolved, nurses and medical professionals are excited to wear the latest and trendiest but before picking out their favorites, our femme fatales must know their body shapes and measurements. 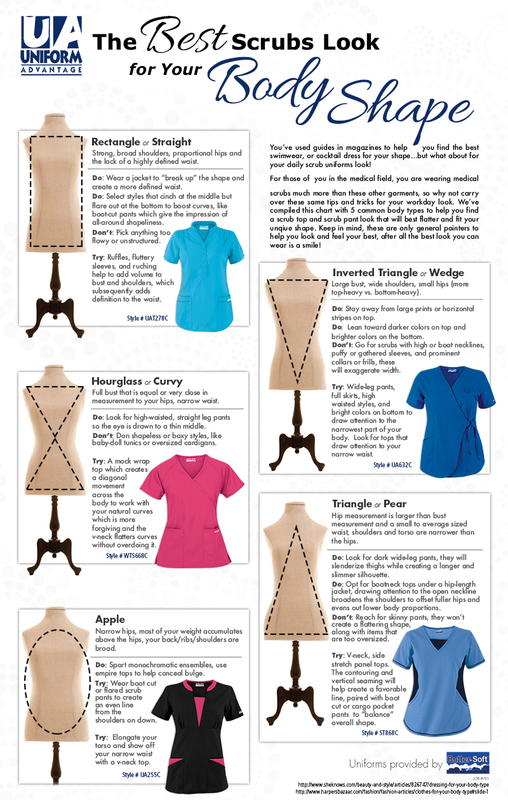 Depending on if you are a Pear, Apple, Inverted Triangle, Rectangle or Hourglass shape, take the time to know what you are so that you can pick out your styles easily and be a pro at shopping for your medical scrubs. Happy Shopping!